Delicate fabrics were intertwined by hand, to form a tissue capable of supporting the bronze, or grey mirror. 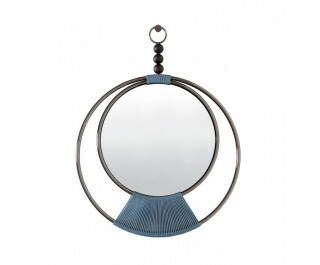 A chromed metal structure, a circle protecting the mirror, forms a light and quiet shape, that is completed by three solid wood elements. A pendant, to make every wall unforgettable.